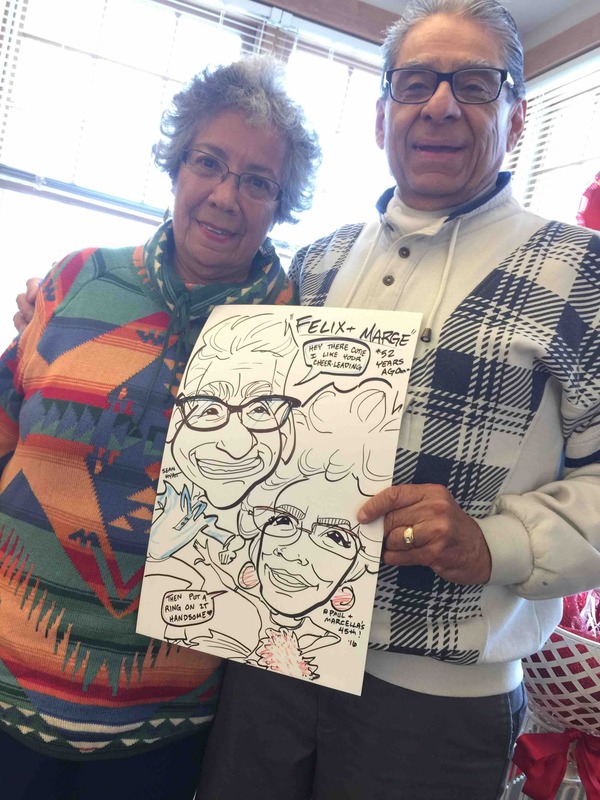 Click the caricatures photos above to see enlarged versions of our work. 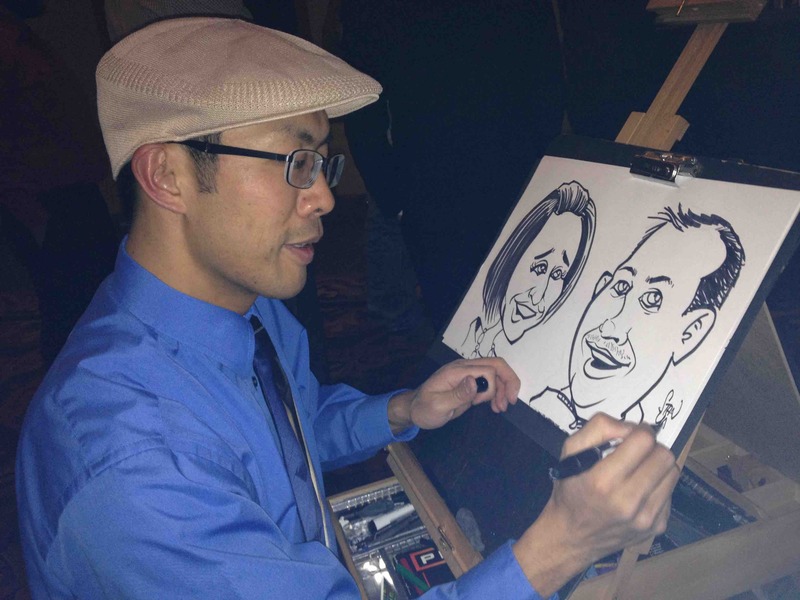 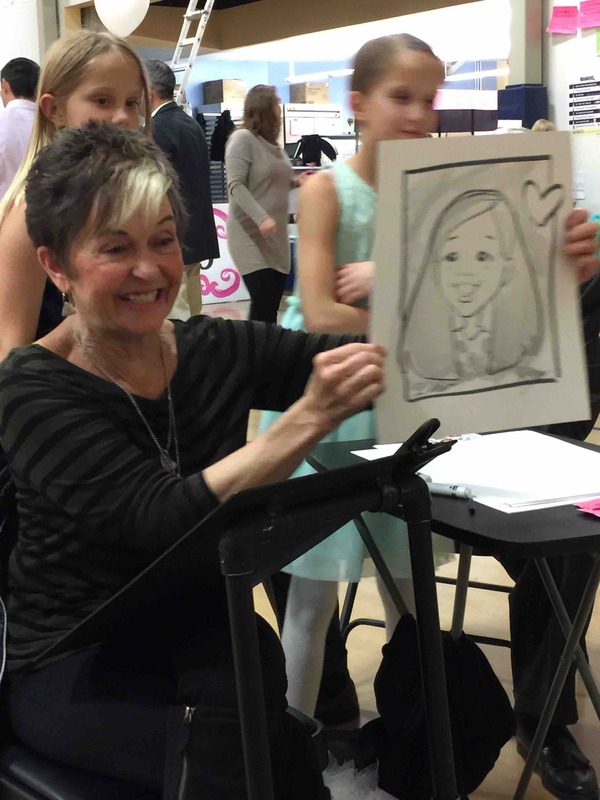 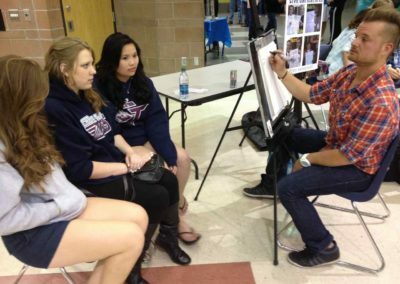 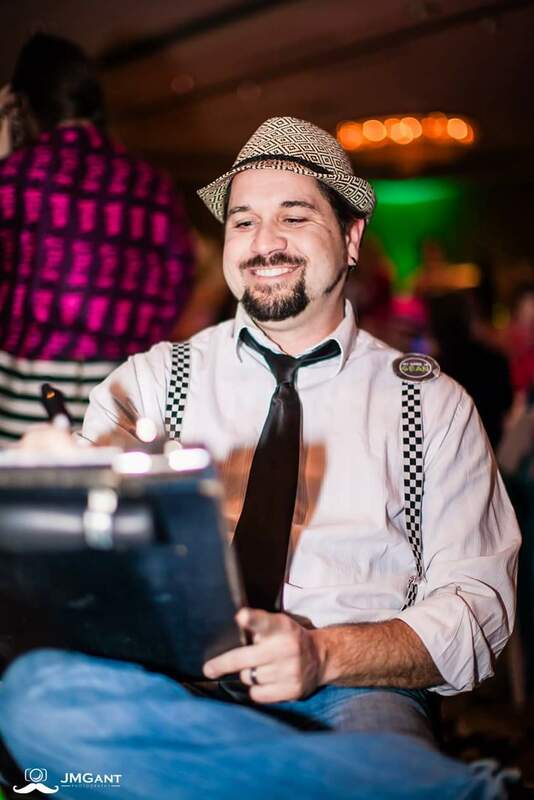 Professional caricature artists for both small and large parties & events is one of our specialties! 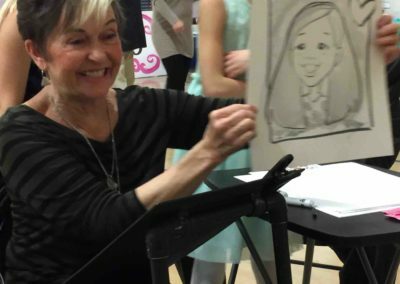 Our artists are some of the very best in the greater Houston and Dallas metro areas and can be found at birthday parties, house parties, company picnics, school carnivals & after-proms, weddings, Bar/Bat Mitvah celebrations, corporate events, and much more. 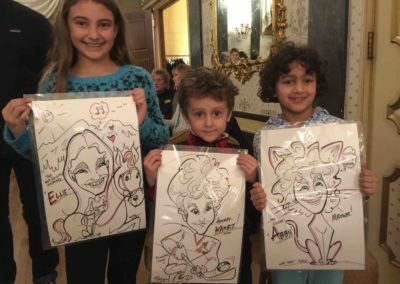 Includes travel (to locations within the city), all materials, protective plastic sleeves, and as many drawings as we can fit into each hour! 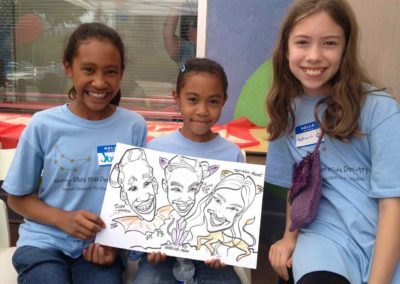 Whether your upcoming happening is with 15 people or 1500, we would love the chance to help. 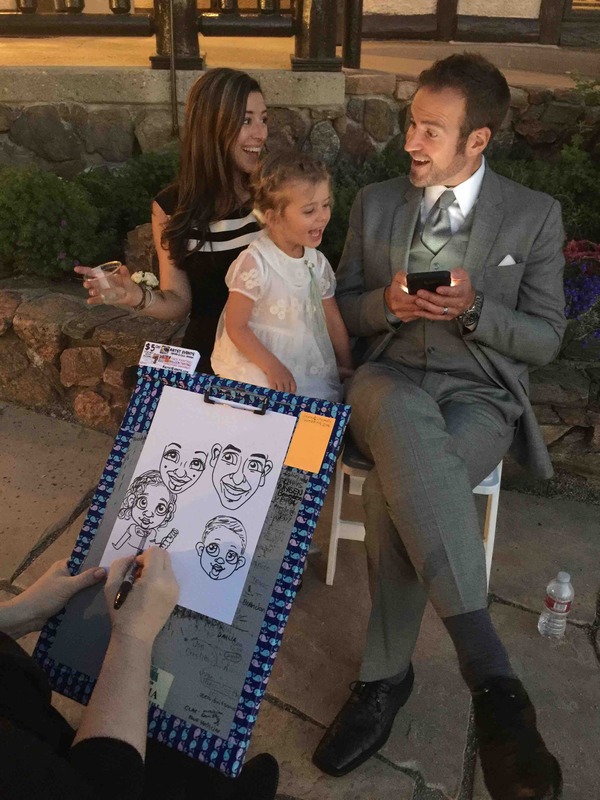 Caricatures are a unique and long-lasting remembrance of your special occasion that your guests will take home, hang up, and enjoy for years to come. Our professional caricature artists are $125/hr – including travel (within Phoenix and Tucson – extra travel fee outside the major city areas), all materials, protective plastic sleeve bags – and 15-24 faces per hour depending on the artist, the crowd, and the complexity of drawings. 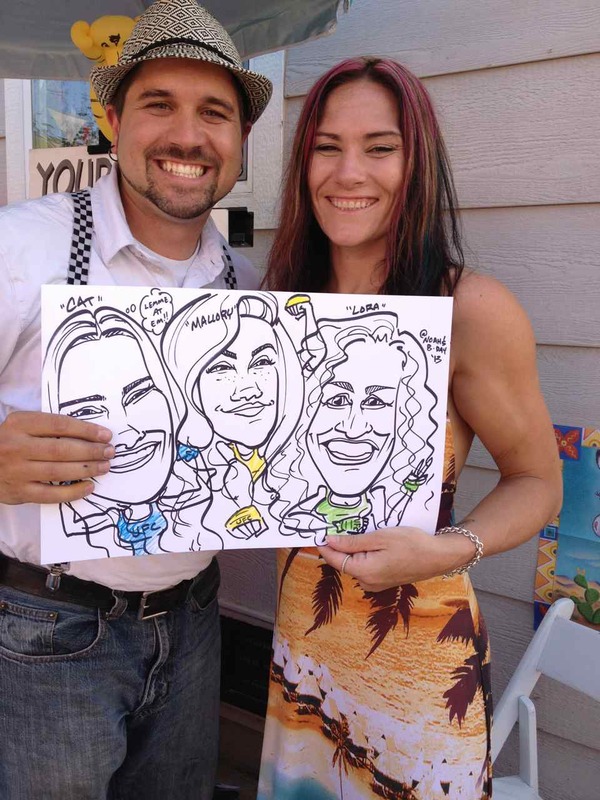 Wow your guests and book a professional caricature artist for your party or event today! 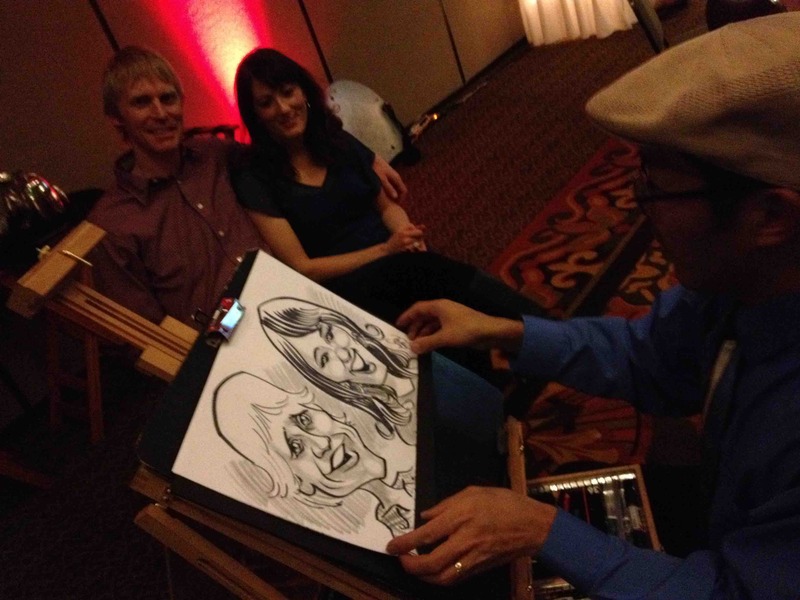 For studio caricatures from photos, check out our partner CaricatureMyGroup.com! 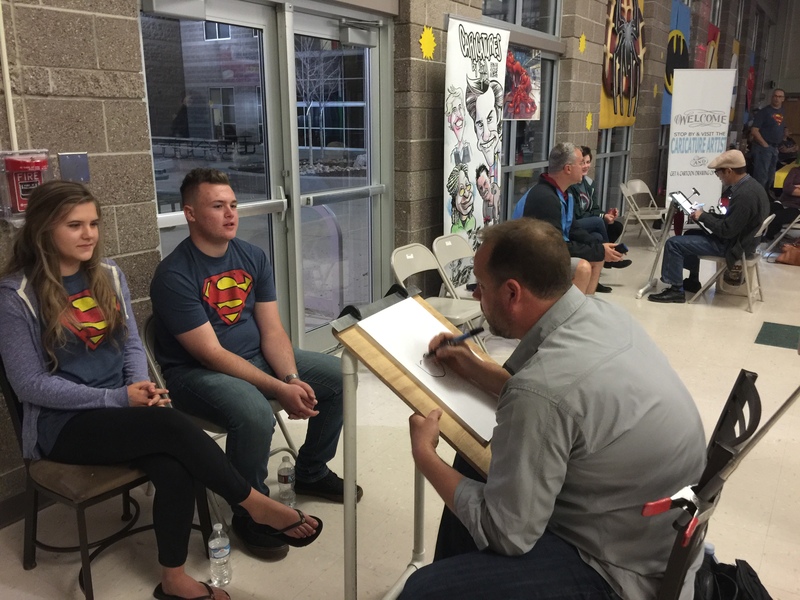 How many caricatures can an artist do each hour? 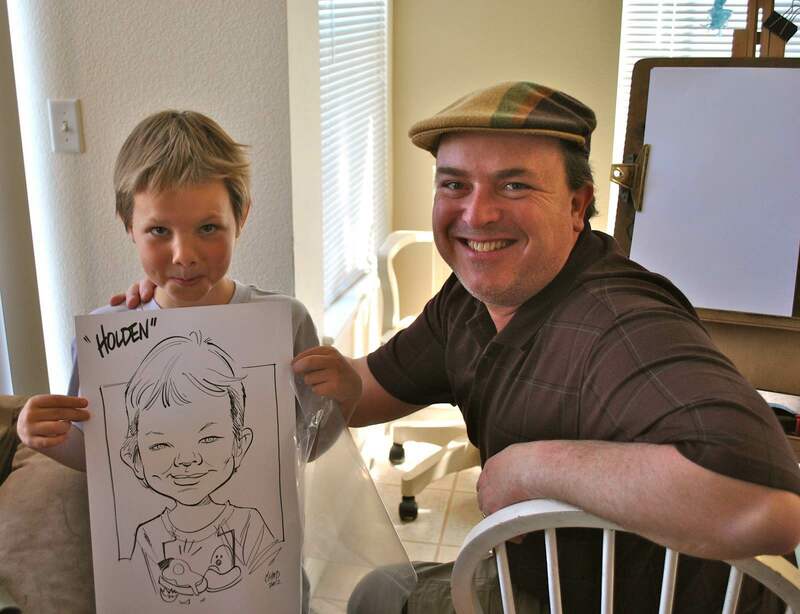 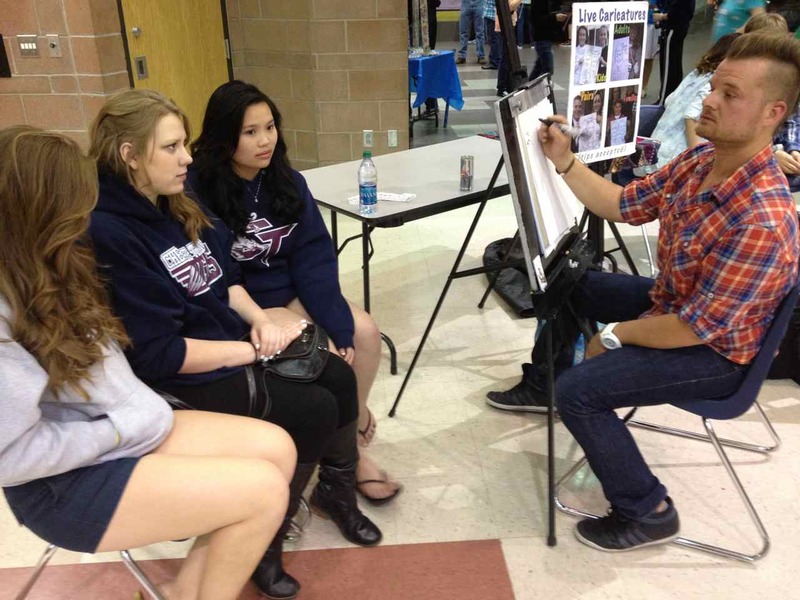 Our caricature artists can draw 15-20 faces per hour. 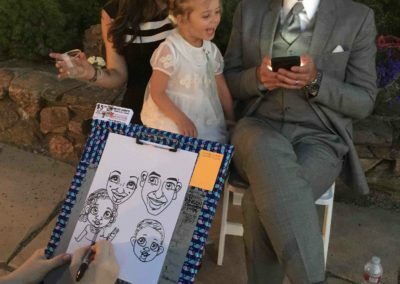 If each person they are drawing requests to have their own individual caricature, they take slightly longer (up to 15 faces per hour). 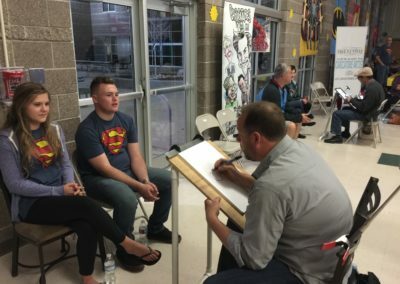 If the people they are drawing are requesting to be drawn as couples, or in small groups, this process can go a little faster (up to 20 faces per hour). 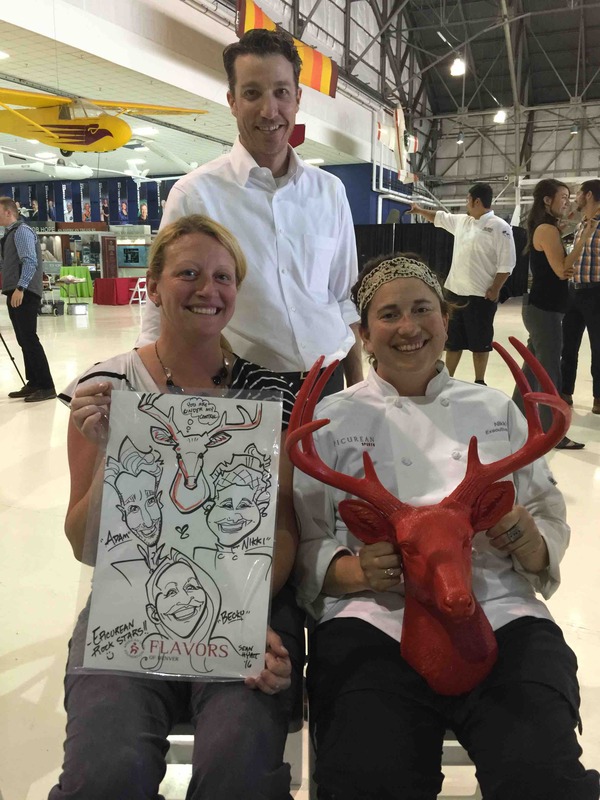 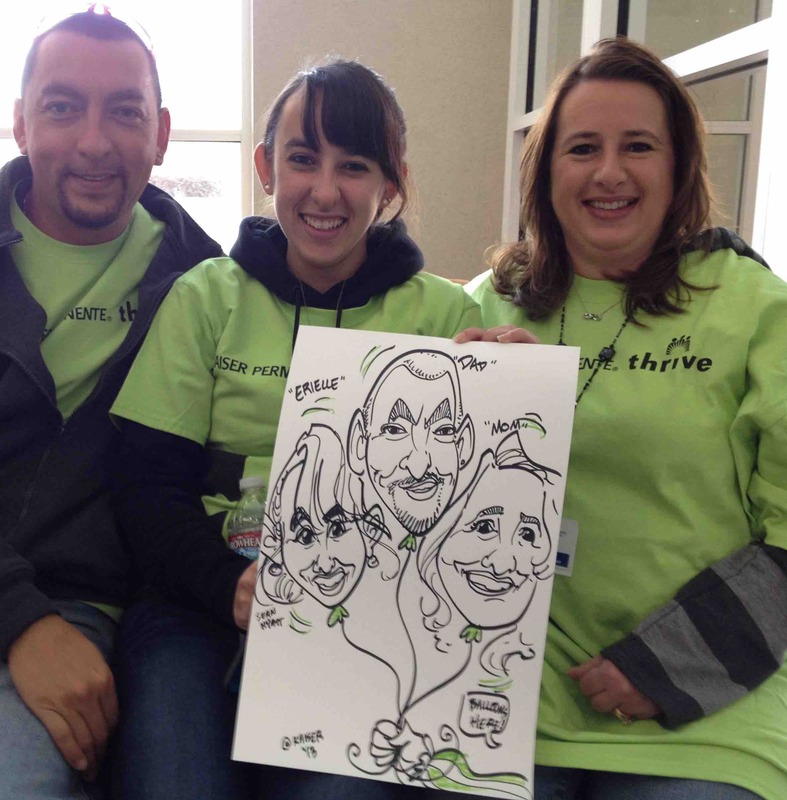 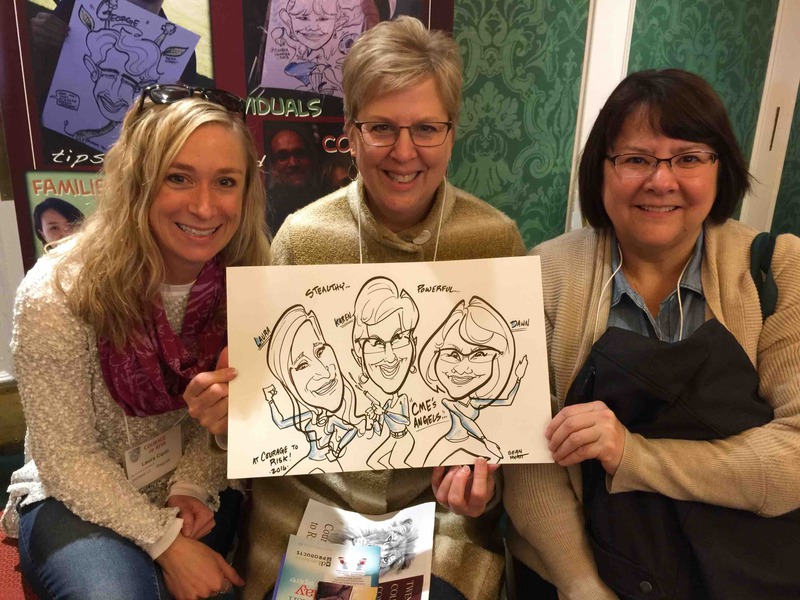 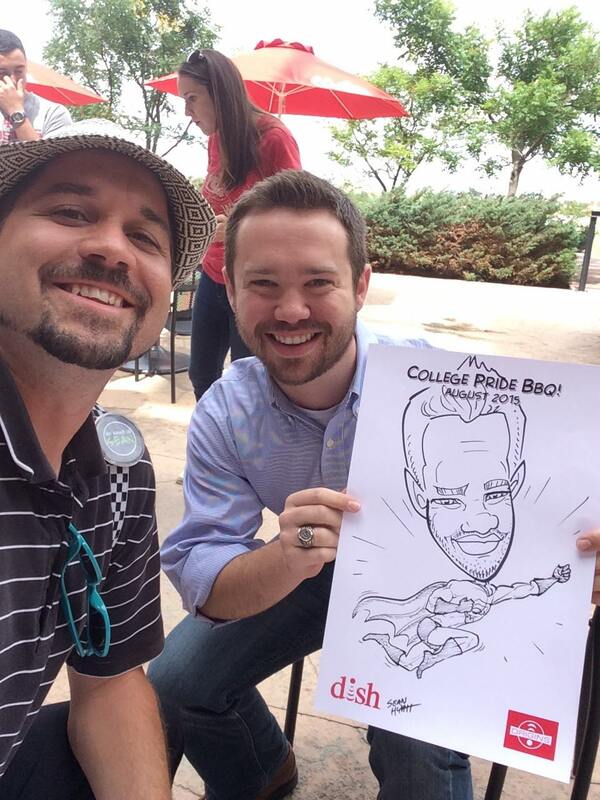 Our artists are always happy to draw individual caricatures, couples, or groups – whatever folks request! 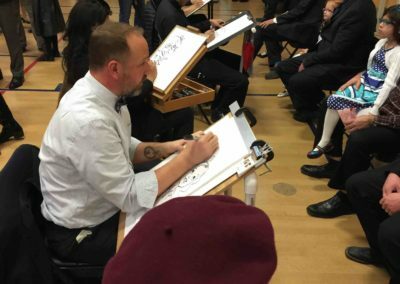 Also the time it takes for the next person or people to sit down can end up affecting how many faces our artists can fit into each hour. 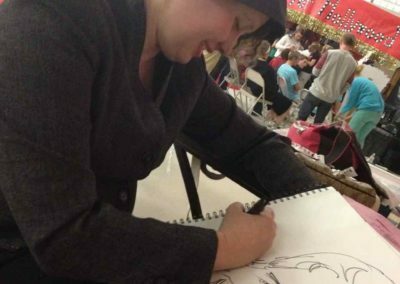 What drawing materials are used for caricatures? 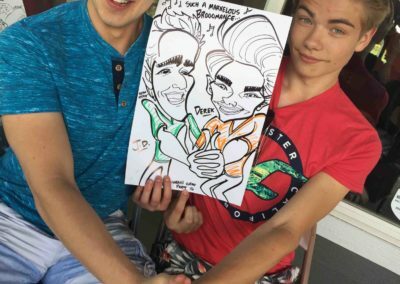 What size paper do they draw on? 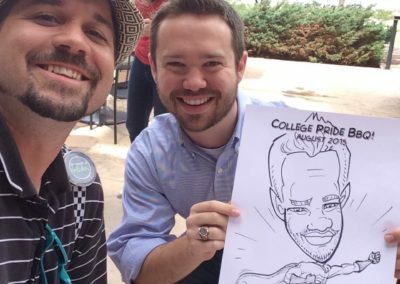 Black and white or color? 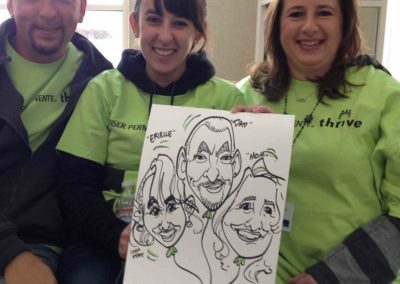 The majority of our artists use thick black markers on a heavier paper. 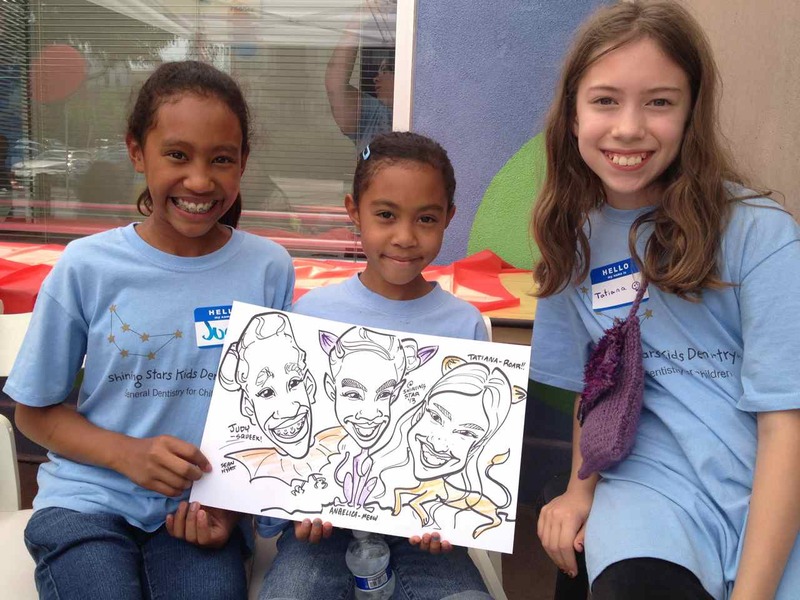 Paper sizes vary by artist, the most common being 9×12″ paper, 11×14″ paper, and 11×17″ paper. 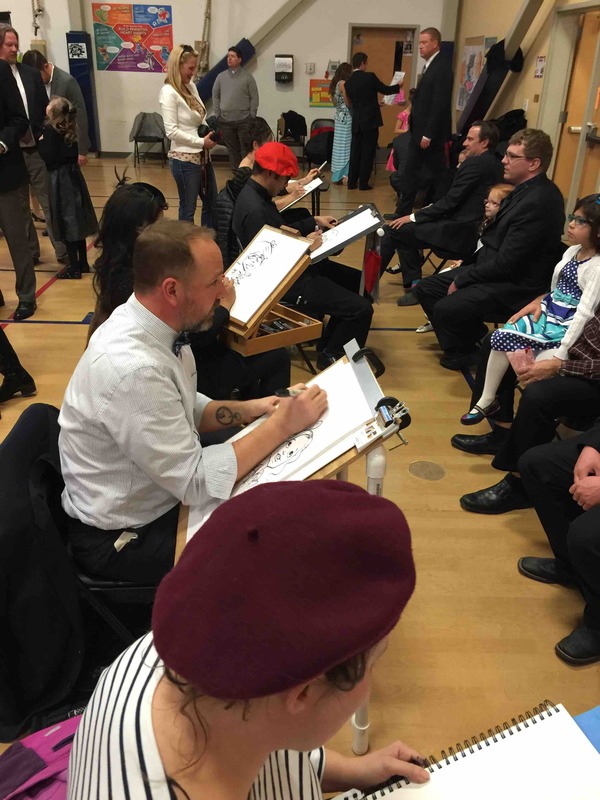 All artists come prepared for black-and-white caricature drawings, unless otherwise requested. 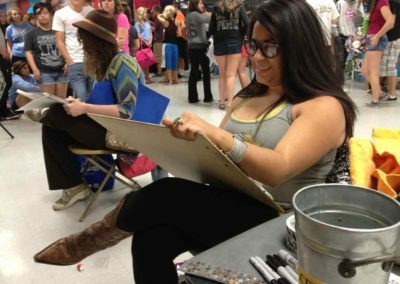 Color is cooler of course, but it takes twice as long! 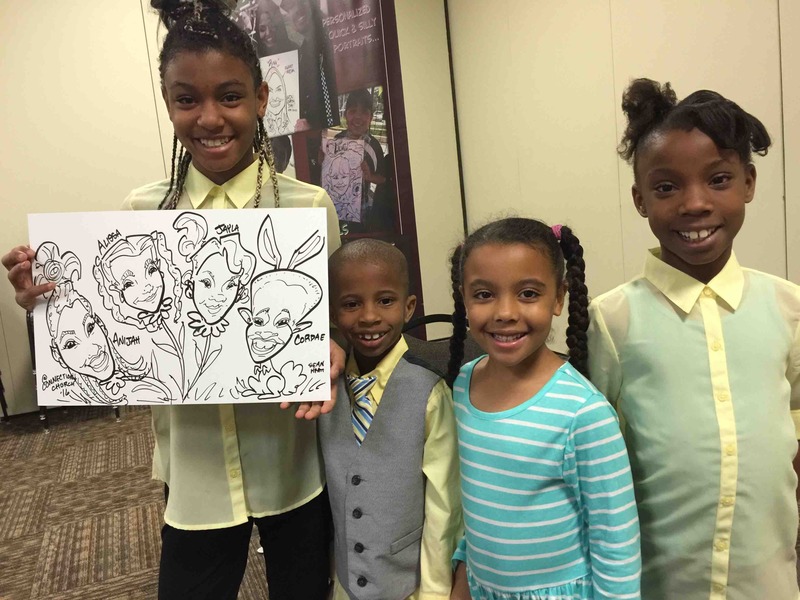 So black and white is standard, and they look fabulous either way. 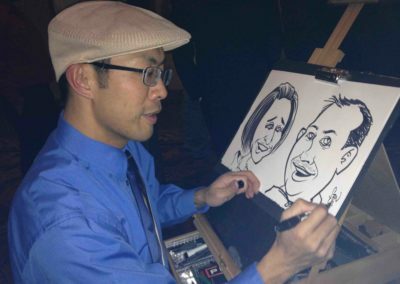 If color caricatures are requested (they must be requested upon booking), then artists can only cover half as many faces per hour as listed above. 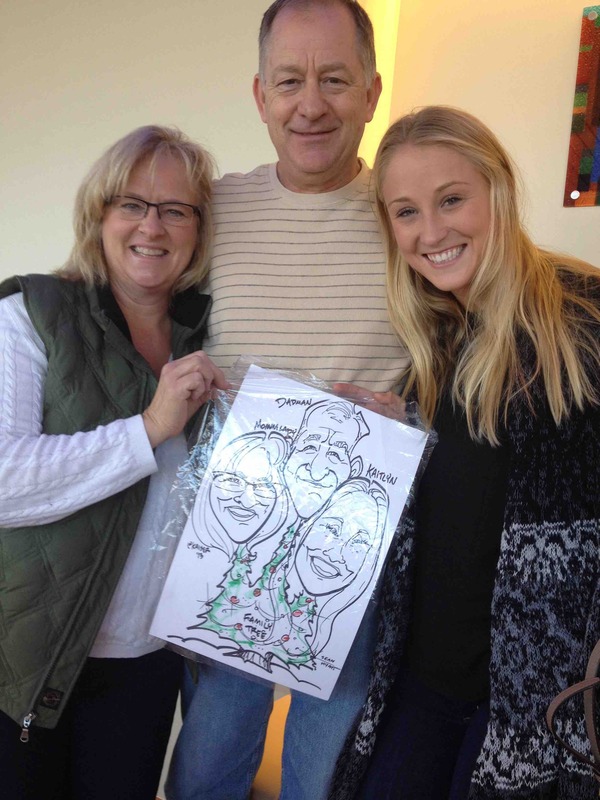 How do people get their caricatures home safely? All artists bring clear protective plastic sleeves to place each finished drawing in. 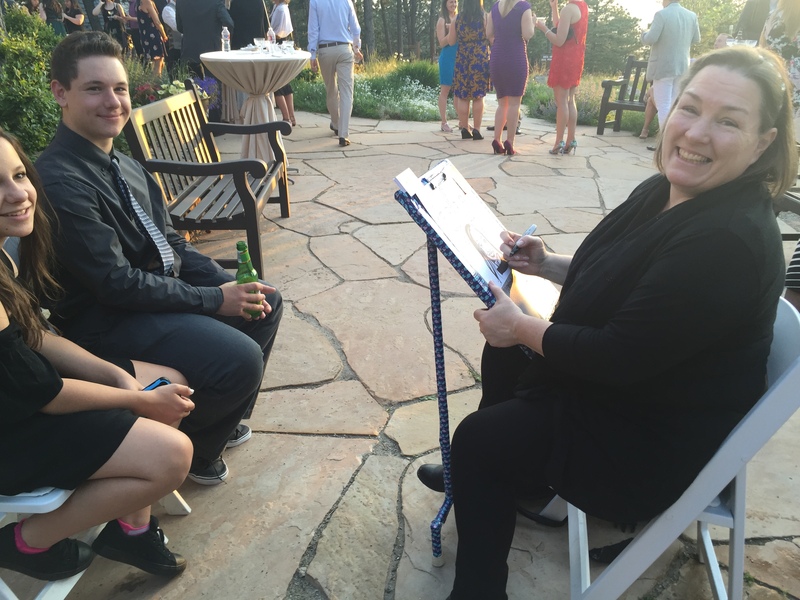 This allows folks to show off their drawings afterward around the party or event – and keeps them clean until they make it home safely. 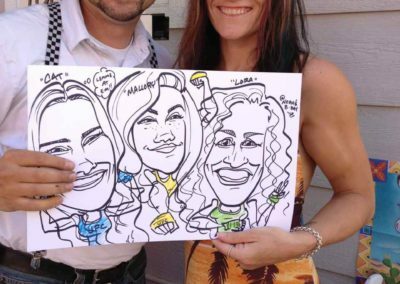 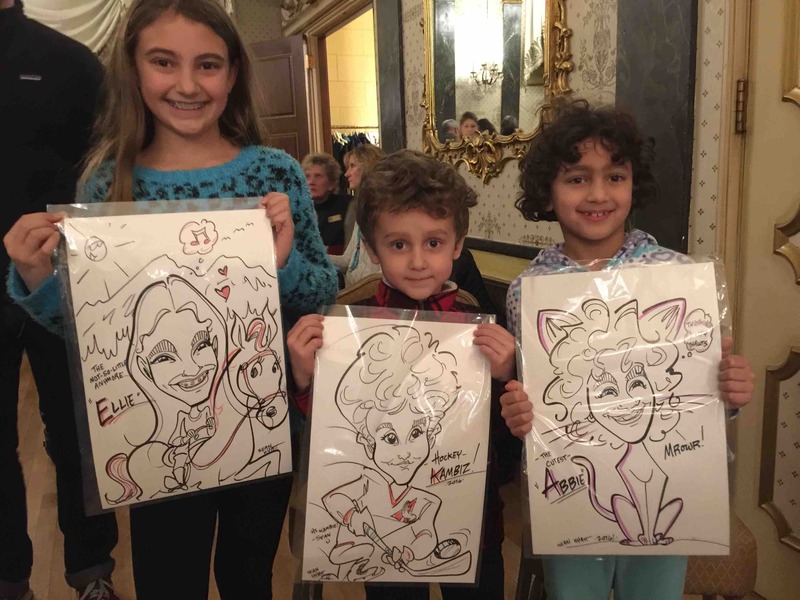 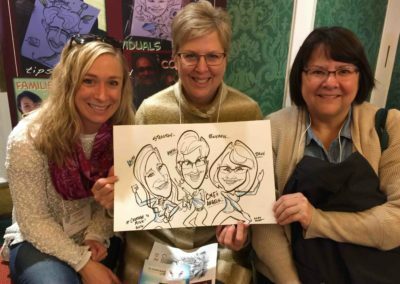 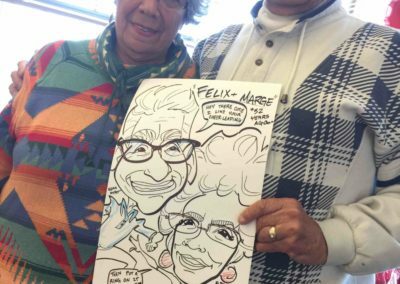 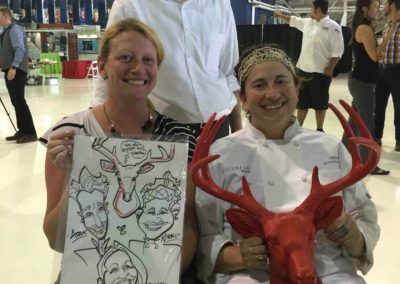 Caricatures are often put in a mat or frame and displayed on a wall for years of decoration and smiles, so your party or event is remembered for years to come! 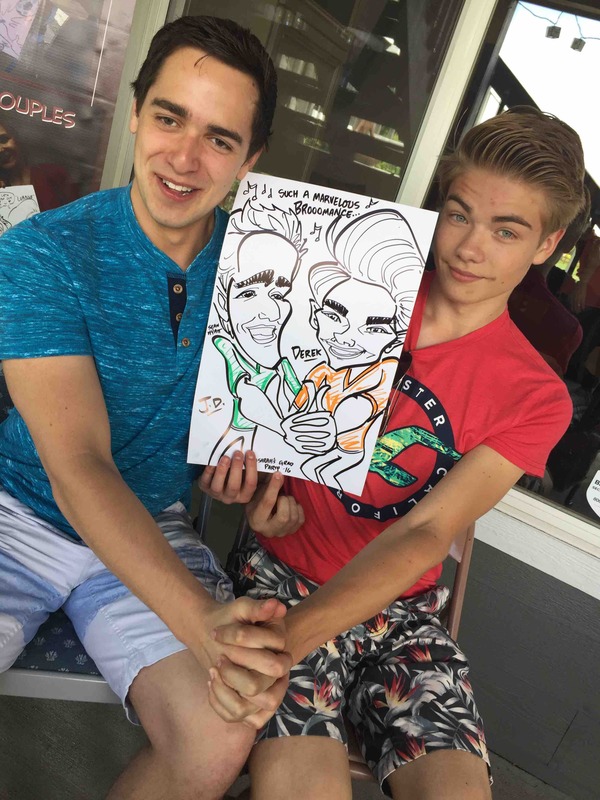 How cartoony are caricatures? 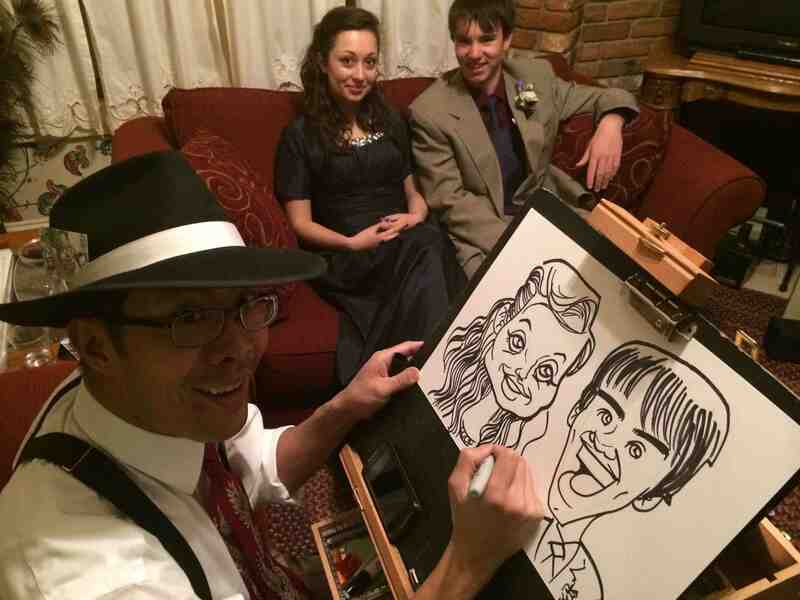 Also what are some other common uses for caricature drawings? 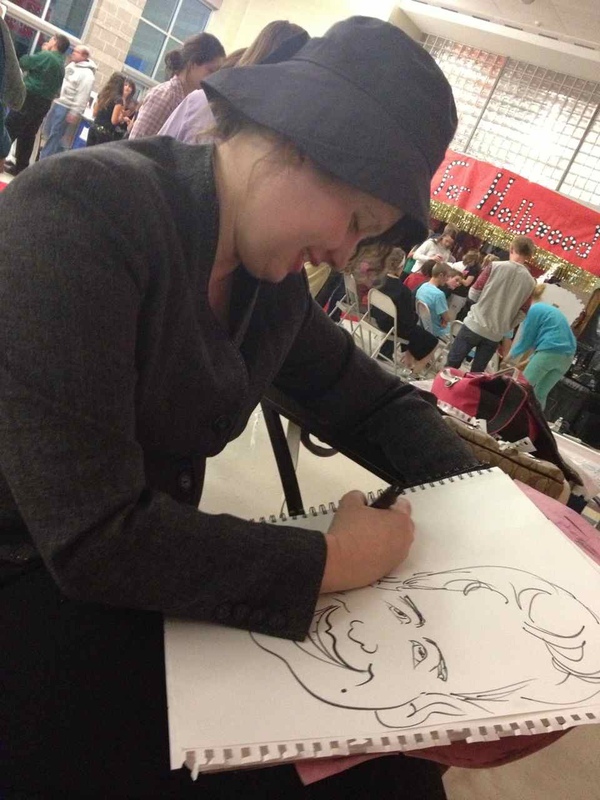 Different artists on our professional team have different styles – no two artist’s work is alike! 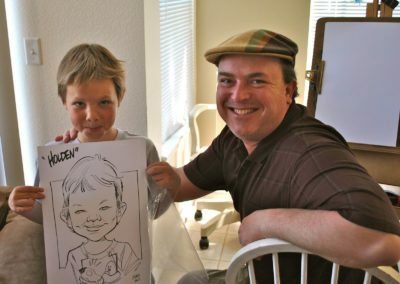 Some styles are more cartoony while other styles are more realistic. 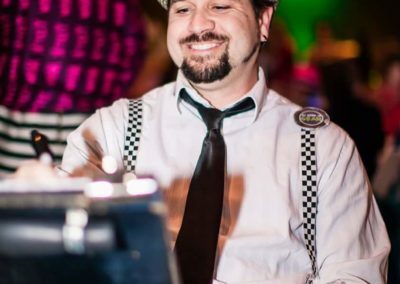 But rest assured that no matter which artist or artists serve at your event — they are the best of the best, and they always get rave reviews! 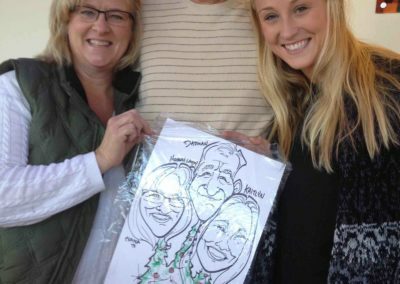 Also our clients use their caricatures for many different fun applications: the most common are for business cards and website profiles, for Christmas and holiday card images, or for unique and lasting gifts to give year-round.